In the present era, business and internet are spreading all over the world. No matter what your business is all about, but it should have an online presence that it reaches to the maximum extent. So if you have an electrician business, then with WordPress themes for electricians you can build your own WordPress site to give your business an online presence. Having an online business, you will not only sell your services but also you can easily increase your business sales, generate more revenues and promote your business across the world. 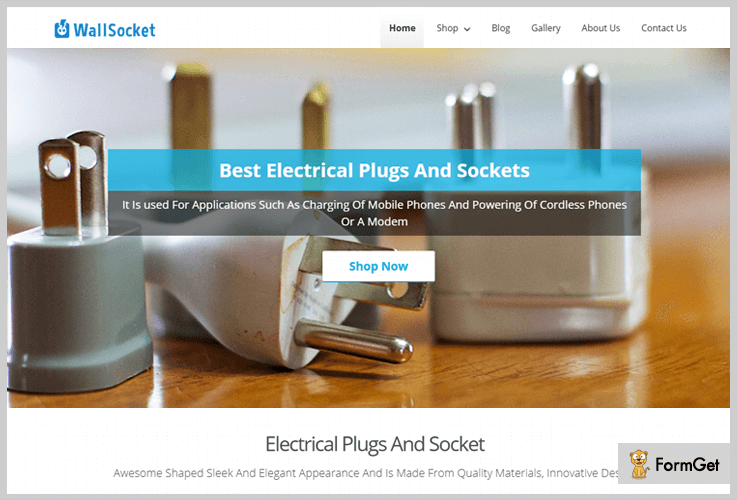 That’s why in this article, we have highlighted some of the best electrician website templates which are easy to use, responsive and help you to increase your business sales. All the themes in this post are SEO friendly which seems a plus point when we foresee in terms of online exposure. Some of them are WooCommerce compatible, supports a reliable payment gateway, and have inbuilt lead generation form with several more features. Scroll down below to know more about these themes in depth. This light weighted & clean coded WordPress theme is used to create an imposing website for electronic business. Its creative banner image attracts more user on your website. This theme gives you a clean designed full-width slider image section to display your company’s photo on the homepage with various custom menus. An impressive feature section to reveal all your attributes with a flickering effect. You can showcase your service in a rectangular service table format and so on. This product by InkThemes charges you only $79 for one time and provides you a lifetime access with its unlimited features. It provides an inbuilt contact us form so your customer can easily get in touch with you or in this way you can directly capture the leads. The theme has four column widgetized footer area to showcase your company’s details including achievement, core values etc. Post your blog and news about your services and latest features in its blog post section with an image. ElectricVolte is the premium WordPress theme which is one of the popular product in the market. This one-page layout theme is encapsulated with a WooCommerce plugin which provides you the opportunity to make your website into an e-commerce site. The theme has a full-width slider image gallery where you can place all your products images with the “shop now button”. With a WooCommerce integration, you will also get add to cart button, product sorting option, price filtration option, and so on. This product charges you only $79 with lifetime support and gives a free update. It has a 4-column widgetized footer area to place your electric equipments, a video, a brief category of your products etc. Parallax gallery effect with category buttons to highlight your products images with description. With its 3-column featured area, you can showcase the features of your website. Client testimonial section to display your customer’s feedback. It also provides a single page product description. 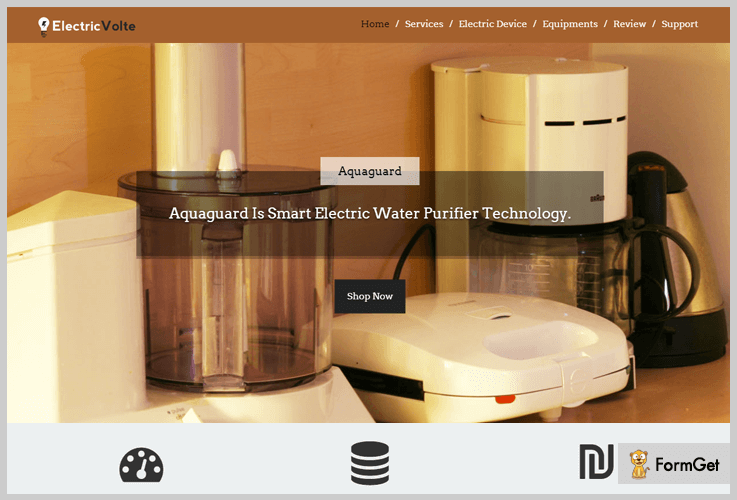 Deliver a complete solution of all electric equipment online to your customer by developing your own web portal through this Wall Socket theme. This WordPress theme for electrician has features like a responsive layout, custom logo uploader, service section with flipping effect, full-width slider to showcase the products images, blog section with stylish animation effects and more. Also, your customer can easily purchase any of your products by using a simple and secure PayPal payment gateway. Purchase this product at $79 with lifetime usage and 24*7 support forum. Provides accordion to present your major business features and services in a layered form. Widgetized footer section to display a brief about your company, addresses, tips & warning. The theme has a widgetized area to embed the videos of your products and services. Provides single page product description for deeply details. 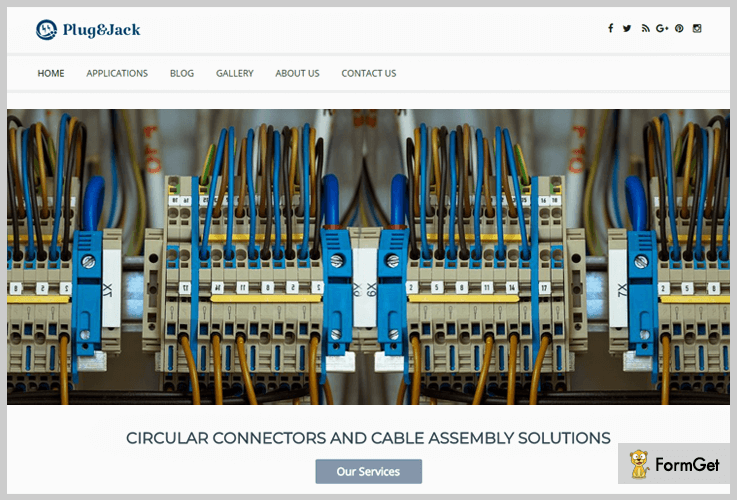 Plug & Jack is a clean coded WordPress theme for electrician which is fully responsive and an easy-to-use business WordPress theme. It comes with pre-packed drag & drop page builder option so that you can easily create your own website within a minute. Another useful aspect of plug & jack is WooCommerce on/off section through which you can make your website anytime an eCommerce site whenever you want. It also gives you the best collection of different colors, flipping effect service section and several more. Get this multipurpose WordPress theme for electronic commerce at just $79 only. Provides recent blog post section to keep updated your customer about your latest services and products. Its widgetized footer section allows you to showcase your company’s history, addresses, category etc. Display your most rated products through its widgetized sidebar on the right side of the homepage. Footer text, to display your company’s name. BlackRider by InkThemes is a highly customizable and fully responsive WordPress theme designed to create a website for the various business purpose. The theme provides you a 4-column service area to showcase your services with a flipping effect. Download this multilingual WordPress theme for free only from wordpress.org. With its customizable theme Options Panel, you can customize business logo, intro texts, background colors and a lot more. Blog section, to keep updated your customer about your newly launched products or services. A full-width gallery option to highlight your company’s images. It provides a tap-to-call button for instant support. 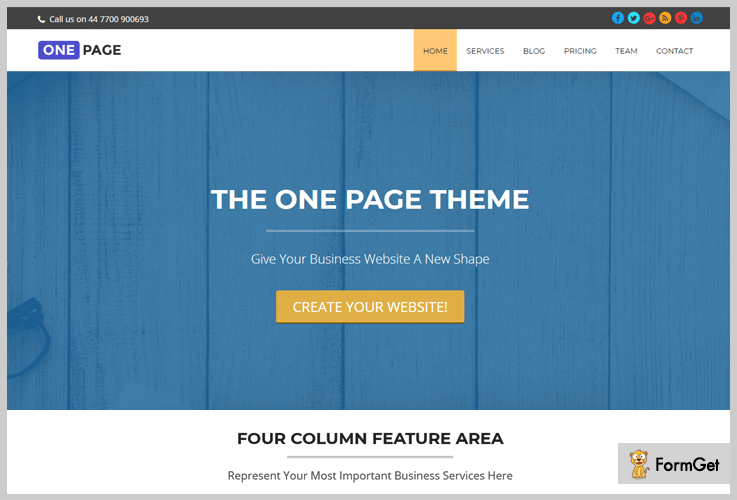 Download this power-packed or easy to handle WordPress theme and use it for multiple business purposes. It makes easy for the user to find anything on your website due to its single page layout. 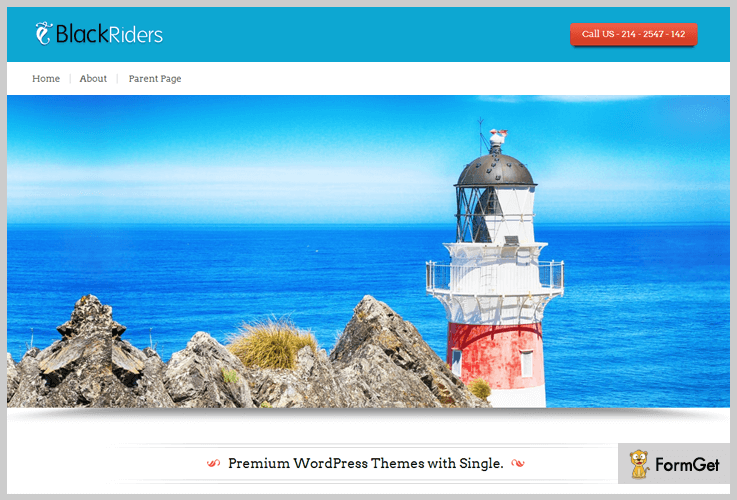 Take the advantage of this completely professional WordPress theme at free only. It has a collapse sidebar button you can hide or unhide your homepage page content present on the left side. You can categorize your post pages into parent page as well subpage. A toggle button to make changes to your header section of the homepage. Provides user’s registration section at the top of the homepage. And now here my writing comes to close. 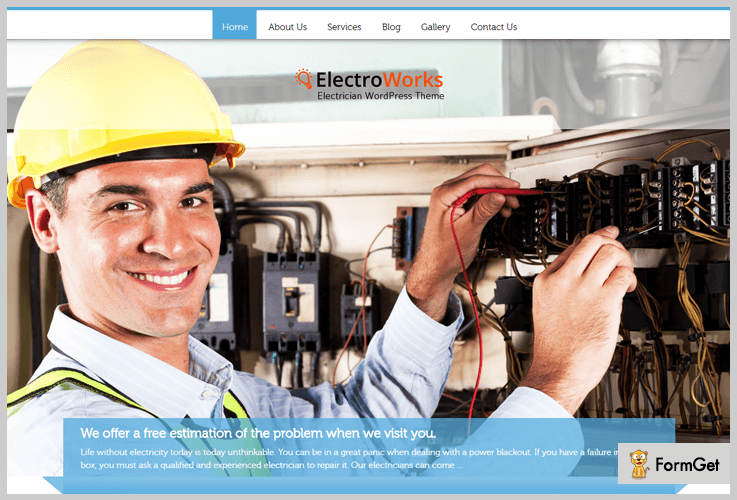 All these WordPress themes for electricians are fully responsive, compatible with every devices and suit to make any kind of business website. Some of the themes in this article are free while others are paid, so you should try these themes at once. Do comment us below if you have queries or suggestion!